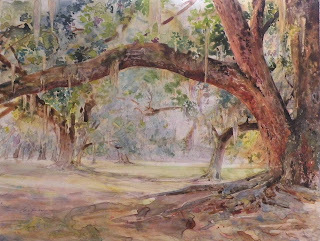 Here's Helen's latest watercolor entitled "Live Oak Canopy". This scene is from Middleton Plantation. In a couple of days, it should be framed and hanging in the gallery. Enjoy!